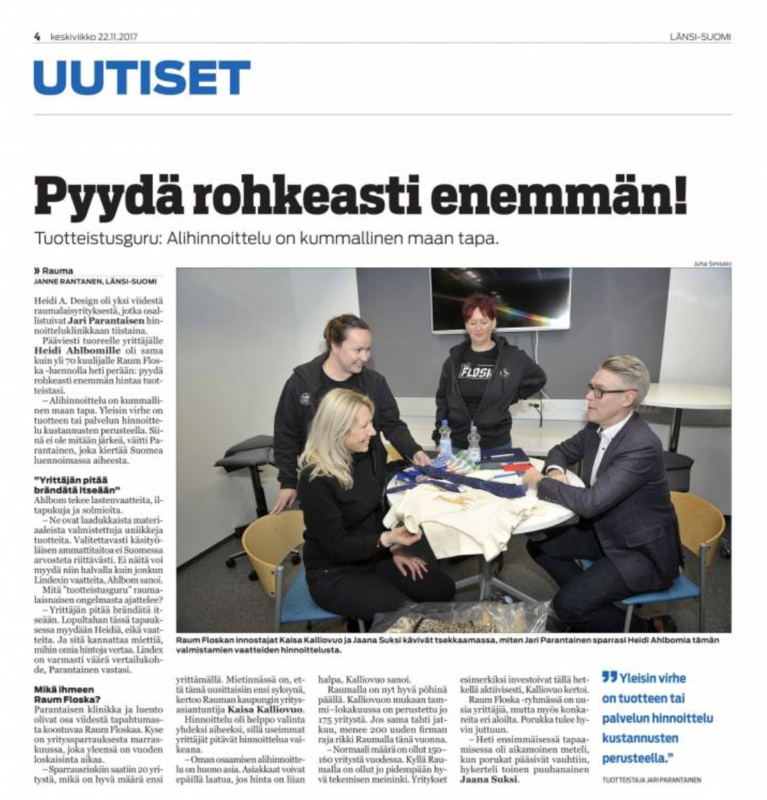 Local newspaper Länsi-Suomi was interested of production guru Jari Parantainen`s visit in Rauma. He was here to give a lecture of pricing and helped 5 local entrepreneurs about their pricing. 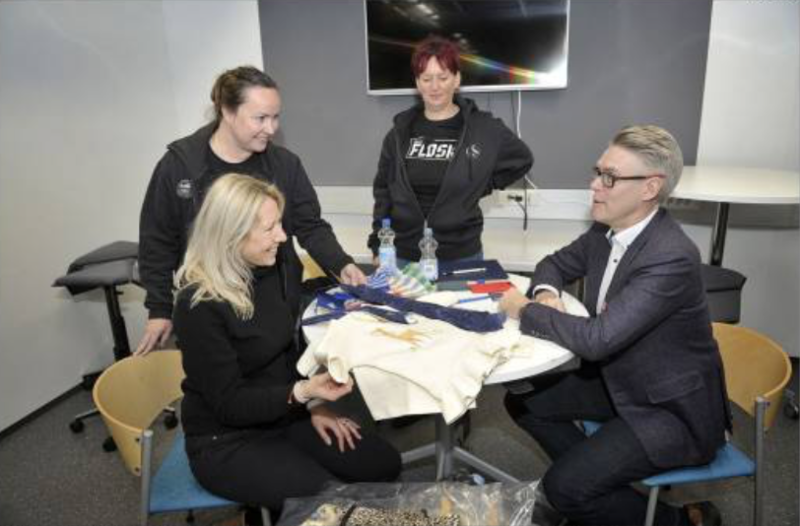 Heidi.A.Design was one of these lucky companies that got an 30 minutes with the guru Jari. Interview told also about Raum Floska, the 20 local company meetings we are having at the moment, Heidi.A.Design also one of those companies.